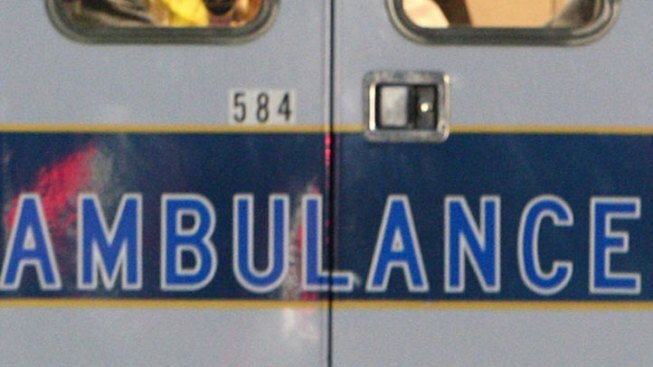 Authorities say several people were hospitalized following a weekend crash involving a sport utility vehicle and an ambulance carrying a patient in Augusta, Maine. The Kennebec Journal reports the crash happened Saturday morning as a rescue unit was turning onto state Route 3. The other car containing four people was heading east. Augusta Fire Battalion Chief Scott Dunbar says the ambulance had responded to a medical emergency and was bringing a patient to MaineGeneral Medical Center when the crash occurred. Two paramedics were taken to the hospital with minor injuries and released. Two people from the SUV were also hospitalized and released. Authorities say the patient didn't suffer additional injuries. Police say the report on the crash remains incomplete as of Sunday afternoon. Fire officials say both vehicles were destroyed.